ZooTampa at Lowry Park visitors can see a litter of new red wolf puppies, which are the most critically endangered wolf species in the world. 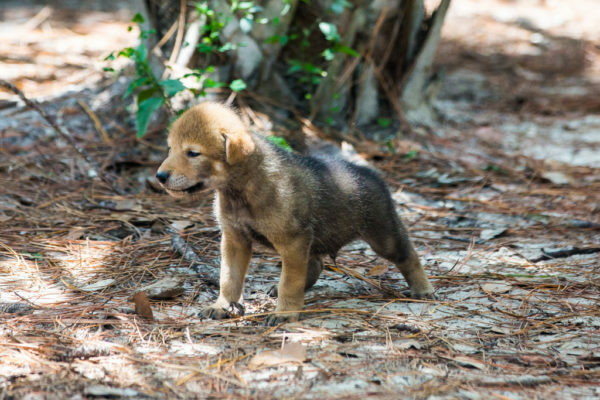 The successful birth of four red wolf pups is an important addition to the populations of this rare Florida species and the first red wolf births at the zoo since 1993. 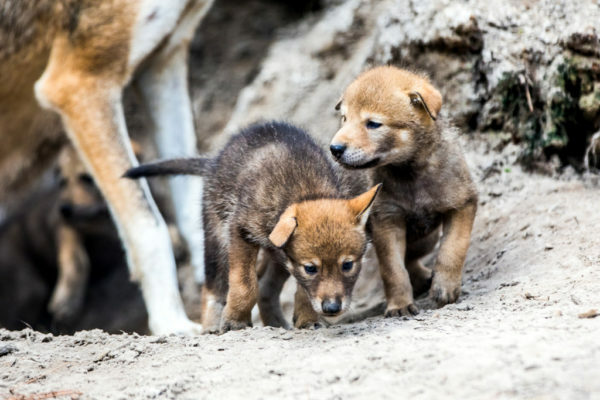 Born in late April, in a natural den their mother, Yona, dug herself, the pups are living as they would in the wild. 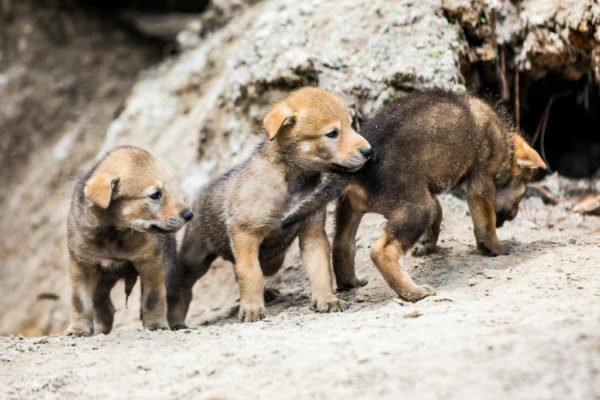 A newly designed habitat allows guests to be part of the experience as the pups grow and emerge from their den. Zoo animal care staff and veterinarians have seen the pups snuggled up by Yona’s side. The litter is made up of three males and one female, with each receiving names of Florida locations: Conner, Yulee, Reddinton for the males and Boca for the female. Check out a video of the pups on youtube! Red wolves, the rarest of all wolf species, are native to Florida and once roamed throughout the Southeast. Today, they are critically endangered, with only around 200 red wolves remaining in zoos and reintroduction areas. Wolves were hunted by ranchers to near extinction for fear they would attack livestock. 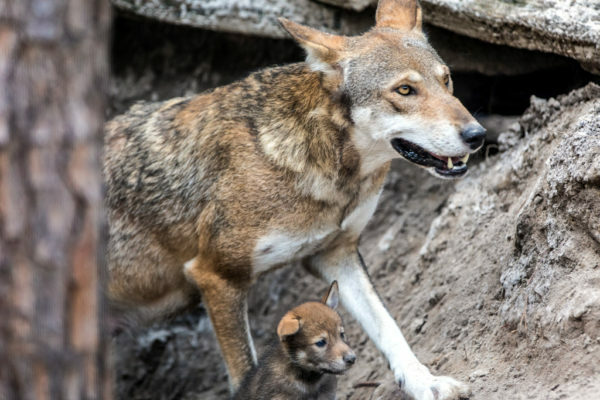 As part of the Association of Zoos and Aquariums’ Species Survival Plan (SSP), ZooTampa is helping to ensure the red wolf population can continue despite serious threats to those in the wild. In addition to its red wolf program, ZooTampa leads in the caring, rescue and rehabilitation of several Florida threatened and endangered animals, including panthers, manatees and Key deer.